Windows Vista: restart the computer and look in the upper-right corner of the screen; very briefly, instructions will flash by, telling which function-key to hold down to enter the BIOS settings. The setting that needs to be enabled goes by the following names: VT-x, Intel Virtualization Technology, Vanderpool Technology. HP Elitebook with Windows 8 works? 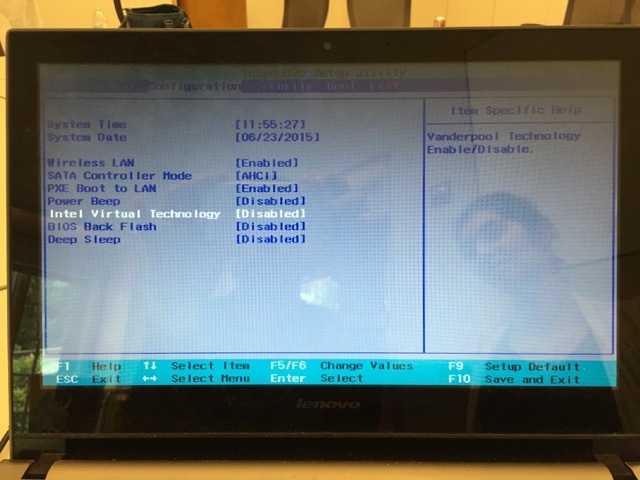 A Dell Inspiron 1420 cannot run a Vagrant VM.